With space at a premium in our homes, hideaway beds are the perfect cost-effective solution for your spare room, playroom, loft conversion, apartment – in fact anywhere that space saving furniture is needed. 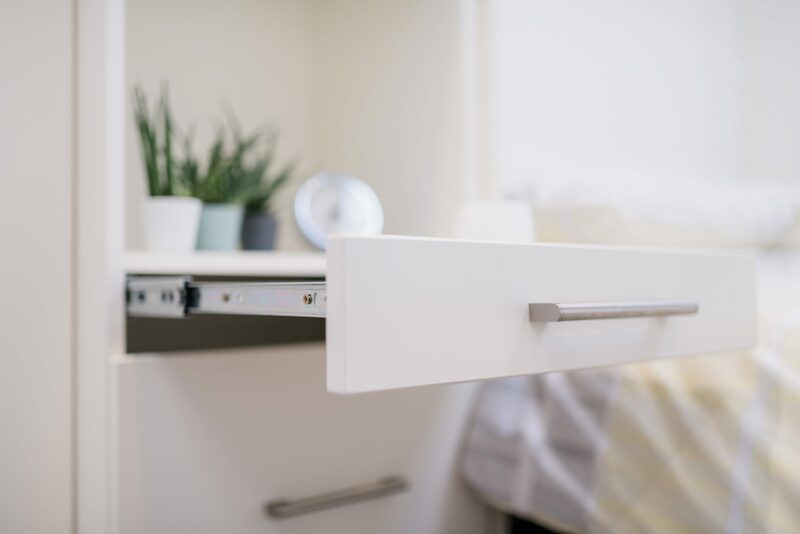 As your local recommended drop-down bed supplier for Hideaway Beds in Devon, we work with you to ensure the right bed selection for you as well as the cabinetry design to meet your storage and design needs. 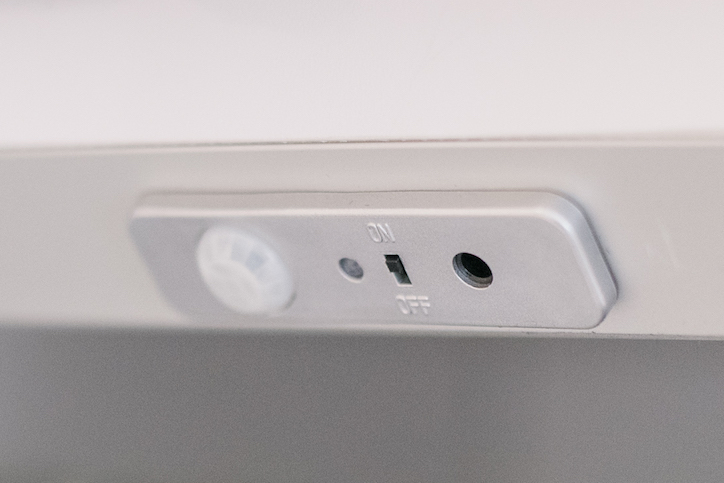 The beds are manufactured to be suitable for every-night use and are rigorously tested to ensure maximum safety. Hideaway Beds are the perfect innovative solution for your home. 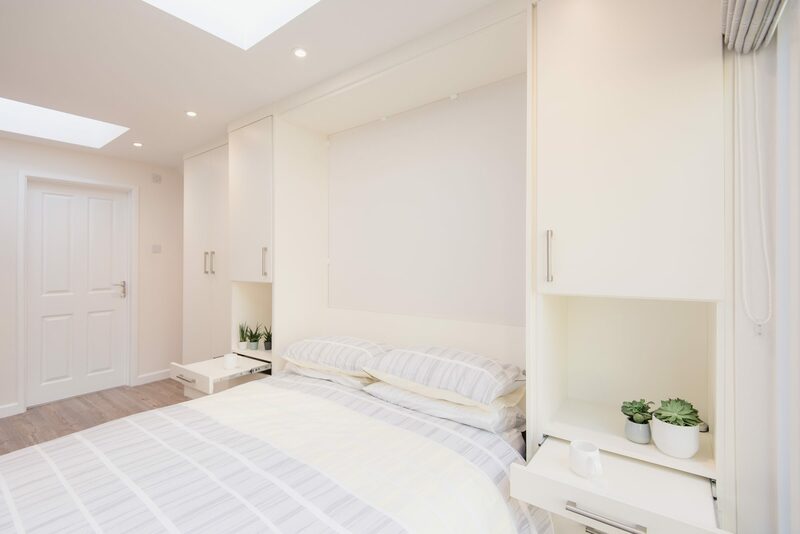 Drop-down beds are perfect for any room, providing not just your sleeping space solutions but your storage needs too with our custom made cabinetry. 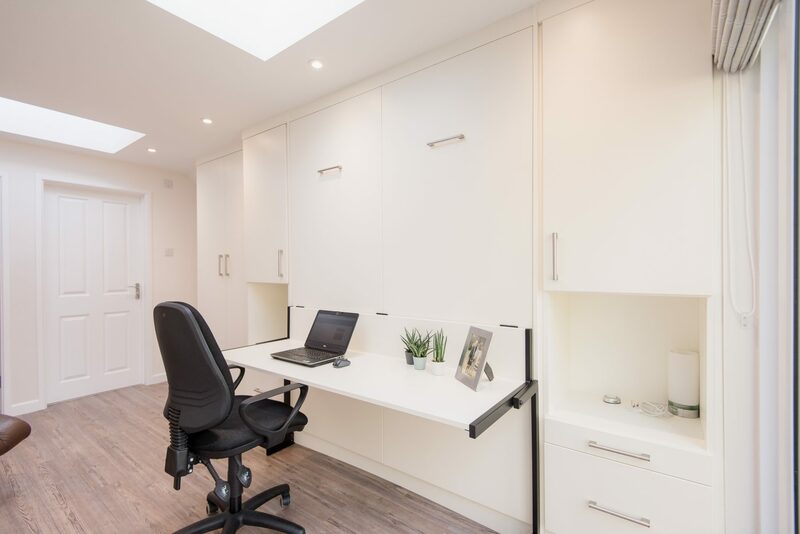 Your cabinetry can be designed to match additional furniture in your room – whether it’s a desk, drawer units or bespoke storage – to ensure your room works for you visually and in a storage capacity. Your quality spring mechanisms are tested to 10,000 cycles (that’s nearly 30 years of daily use) and come complete with a 5 year supplier warranty and bed frames come with a 12 months warranty. Contact us to discuss your storage needs and to view a sample Alpha Bed in our Basingstoke Showroom – we work with you during the whole process to ensure your room flows and works perfectly for you.